Just a quick note for those of you who love a good competition! 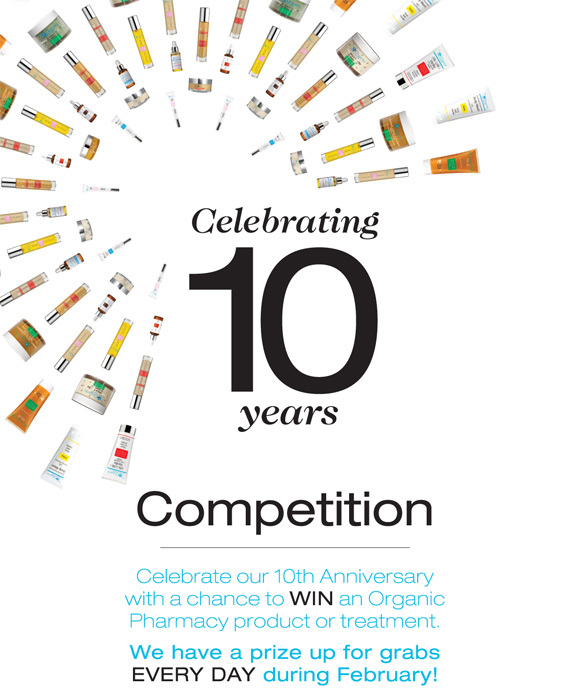 To celebrate their 10th anniversary, The Organic Pharmacy are offering their fans the chance to win a prize, every day throughout February. To enter, simply submit your name in-store OR Like/Share The Organic Pharmacy on Facebook – remember, the competition doesn’t get underway until the 1st of February, so this is one for Google Calendar to remind you about!